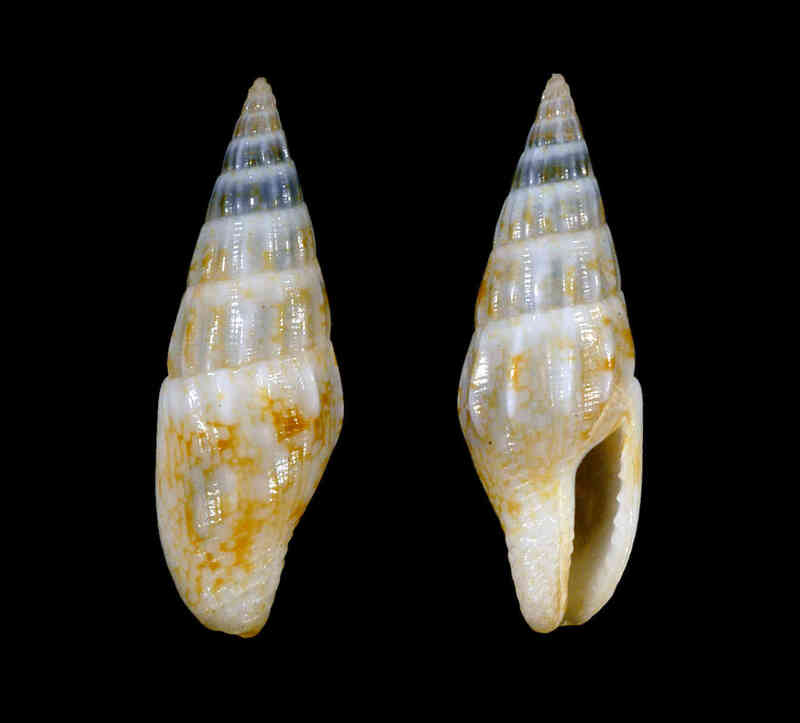 Shell size to 16 mm; shell slender, fusiform. Spire with straight sides, pointed. Sculpture of about 12 curved ribs which disappear on basal part of body whorl. Spiral threads present on base. Aperture narrow with many denticles. Color grayish brown with grayish- and reddish-brown markings.